Forgetting to change the filter is now a thing of the past. 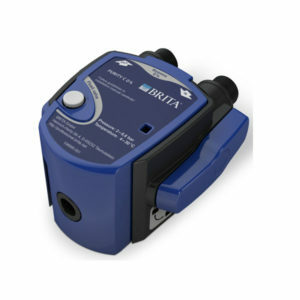 The new BRITA FlowMeter add-on module ensures more clarity and operator convenience with BRITA filter cartridges. 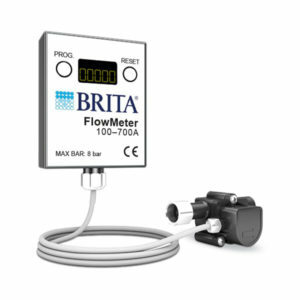 Once the relevant filter capacity has been programmed, the BRITA FlowMeter calculates the current residual capacity of your filter cartridge by recording the water flow water flow volume and displays it where it can be read easily. 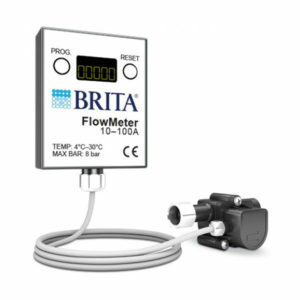 The FlowMeter is the ideal add-on module for the BRITA filter cartridge systems. 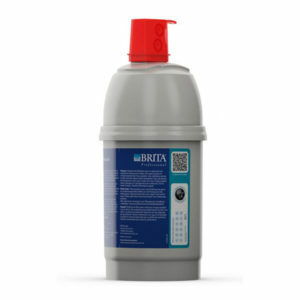 PURITY Quell ST with three different sizes of filters ensures the removal of ingredients that cause the formation of limescale, as well as the appearance of unwanted flavor and aroma. It offers optimum product quality and long service life. 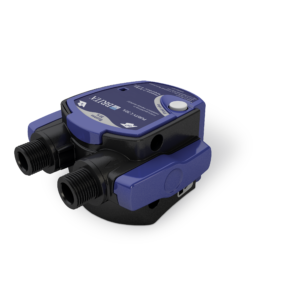 • For uninterrupted operation of downstream appliance . Specially developed for use in catering, fine dining and vending sectors, for instance coffee and espresso machines. Special filter sits only for convection furnaces. The Filter from the water removes water stone, chlorine, heavy metals and small particles and water. At 10, KH filters 7907 L, It is recommended for medium-sized steamers and ovens. A Special filter used for cold drinks in areas where the water is very soft. 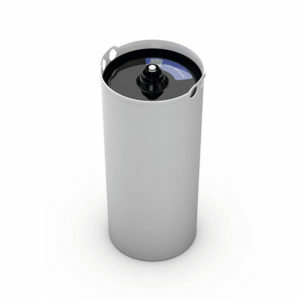 The water Filter removes chlorine, heavy metals and small particles and water. Filter 10 000 L. Sits this steamed cold drinks, steamed coffee and areas where water is very soft and for the preparathion of drinking water in the kitchen, because with its karbonskim block refining water, while in water it leaves minerals that are good for the humane Organism. It doesn’t remove a water stone from the water! Great for coffee and Espresso Vending machines, hot and cold drinks and medium-sized convection Aries. The Filter from the water removes water stone, chlorine, heavy metals and small particles and water. Because of the unique By Pass Water allows you to prepare a constant quality of drinking water, regardless of the region and its quality. 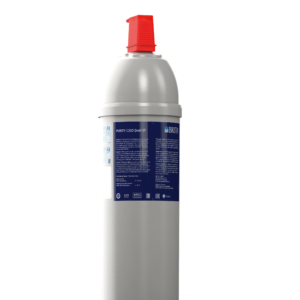 At 10 KH and ByPass It 40%, it filters 11500 L, which is why it is recommended for very large consumers (e.g. from 2 kg < of Coffee consumption per day). Special filter sits only for the preparathion of coffee (Vending Appliances and Espresso). The Filter from the water removes water stone, chlorine, heavy metals and small particles and water. At 10, KH filters 1100 L and is recommended for very small consumers (e.g. less than ½ kg of coffee consumption per day). Great for coffee and Espresso Vending machines, hot and cold drinks and very small convection Aries. The Filter from the water removes water stone, chlorine, heavy metals and small particles and water. Because of the unique By Pass Water allows you to prepare a constant quality of drinking water, regardless of the region and its quality. 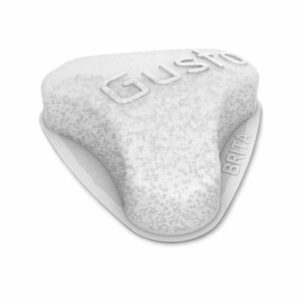 At 10 KH and ByPass This 40%, it filters 2408 L and is recommended for small consumers (e.g. up to ½ kg of coffee consumption per day). Great for coffee and Espresso Vending machines, hot and cold drinks. The Filter from the water removes water stone, chlorine, heavy metals and small particles from water. Because of the unique By Pass Water allows you to prepare a constant quality of drinking water, regardless of the region and its quality. 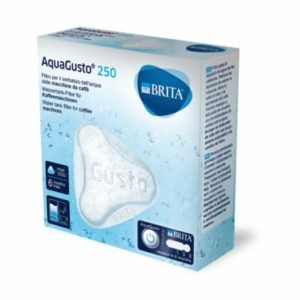 At 10 KH and ByPass This 40%, it filters 352 L, which is why it is recommended for really very small consumers. Great for coffee and Espresso Vending machines, hot and cold drinks and very small convection Aries. The Filter from the water removes water stone, chlorine, heavy metals and small particles and water. Because of the unique By Pass Water allows you to prepare a constant quality of drinking water, regardless of the region and its quality. 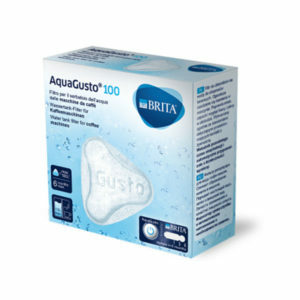 At 10 KH and ByPass This 40%, it filters 4000 L and is recommended for medium-sized consumers (e.g. from ½ kg to 1 kg of coffee consumption per day). A Special filter used for cold drinks on areas where the water is very soft. 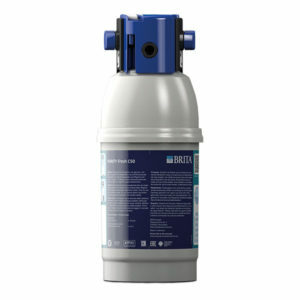 The water Filter removes chlorine, heavy metals and small particles in water. More freshness in the cup for hot drinks from coffee machines and vending machines. 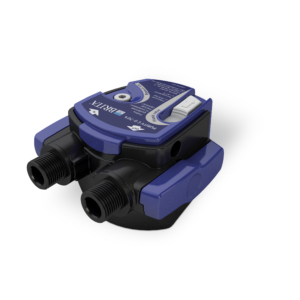 The PURITY Fresh C50 was specially developed for soft water areas.